The past couple of days in Monrovia, Liberia, where More Than Me (MTM) runs the tuition-free More Than Me Academy (MTMA) for over 150 girls from the West Point slum and central Monrovia were characteristically warm for the coastal West African city in January. But 3,000 miles and a continent away, Davos, Switzerland found itself showered with snow. The World Economic Forum (WEF) wrapped up its Annual Meeting in Davos – a mountain resort in the Swiss Alps – on Saturday, January 23. 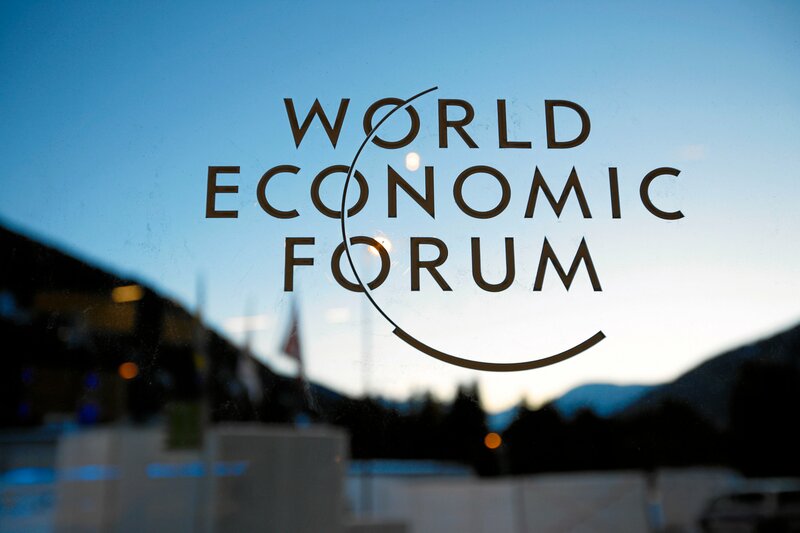 Founded in 1971 by Klaus Schwab as a nonprofit organization intended to bring together European and American business for collaboration, the WEF quickly expanded its focus from management to the pressing economic and social issues facing the global population and is seen as a neutral space where global challenges could be addressed like Apartheid and the Israeli-Palestinian conflict. The simplest way to describe what the WEF means by cyber-physical systems is to look around you. Chances are, wherever you are, you have a cell phone. You’re reading this from a computer. That computer has access to the internet, and the internet connects all of us. Using that internet, you can learn a bit about the other cyber-physical systems such as artificial intelligence, robotics, 3-D printing, nanotechnology and beyond with your unprecedented and unlimited access to knowledge. All of these technological advances are expanding and evolving at an exponential pace, affecting not only international economies and labor markets but politics, health care, and – of course! – education. How does this relate to girls education? It’s easy to see that the advent of the 4th Industrial Revolution – like these technological advances – is shifting our world. It’s also easy to wonder how our lives might change for better or for worse as a result of these new technologies. MTM is committed not only to providing our girls with an education, but also to providing them with the resources and auxiliary services they need to break down every barrier they face to education. 100% of our students in 4th through 6th grades receive a computer education, whereas 95% of comparison students have never used a computer. Our MTM Academy library affords our girls computer access and internet connectivity whereas only one comparison school offers computer access. In 2015, we launched a blended learning curriculum using a grant from a generous donor. Working with experts from Intel Education to develop a pilot education technology program, we’ve started integrating technology into our Academy through servers and IT training. We also brought on Edmodo as a partner and an online resource for our teachers who now have access to lesson plans and teaching supplements for their tablet based learning and assessments that are curated and uploaded by 59 million educators and administrators worldwide. This is just the beginning of an enduring fidelity that More Than Me has to guaranteeing our students at the MTM Academy are ready – not just for what Liberia might hold for them, but for what the world holds for them. This increases both their chance and their country’s chance of success. To do this, a standard education simply isn’t enough; technology is key. We’re dedicated to making sure our girls are prepared for the world at large – the same world that thousands of delegates at Davos spoke about last week – and we’re just getting started. Bring it on, revolution #4 – our girls are ready for you. Sylvestine Gbassagee was promoted to Director of Safety, More Than Me Academy in 2019. Sylvestine previously served as the social worker at More Than Me Academy, since October 2018. She brings over 20 years of direct social work experience working with at -risk and marginalized populations including children, youth and adults, the elderly, women and others in need of therapeutic counseling and support. Sylvestine is also a professor of social work at Liberia College. Sylvestine holds a BA and Masters of of Social Work, as well as a certificate of training in Gender, Governance and Transformative leadership from UNESCO. In her new role, Sylvestine is responsible for management and oversight of psychosocial support, wellbeing, and safety of More Than Me Academy students, scholarship and alumni students and survivors, and guides safety strategy for LEAP schools. Margretta Smith-General joined the team as Country Director in March 2019. Margretta comes to this role with over 20 years of experience directing and leading education organizations, designing curriculum and education trainings, and teaching in both Liberia and the United States. She has served in appointed positions to the former President of Liberia, and served as Assistant Minister in the Liberian Ministry of Posts and Telecommunications. She possesses Post Master’s Studies in Education and Linguistics with relevant coursework in curriculum development, a Master’s degree in International Development, and a Bachelors in foreign languages. In addition, she is a doctoral candidate in Educational Leadership, Policy and Management. In her new role, Margretta is responsible for overall leadership, management, and strategic direction for all the Liberia-based programs managed by More Than Me.